LUCKLESS Tiger Ben Lennon is set to miss up to six weeks with an AC joint injury, continuing a torrid run for the talented half-forward. Lennon suffered the injury in training last week and will undergo clean-up surgery on Wednesday. The injury comes on the back of two head knocks in the VFL, which have kept the 20-year-old out of action for the past three weeks. Lennon has managed just two senior games this season – against Adelaide and West Coast in rounds two and three – and two games with the Tigers' VFL team. He suffered a bout of glandular fever in the pre-season that interrupted his preparation and underwent hip surgery at the end of last season. "Ben is a talented young player who we rate very highly, and unfortunately hasn’t been able to get a lot of continuity in his football this season," football manager Dan Richardson said on the club's website. "The club will continue to support him with his rehab, he’ll overcome this setback and return to be an important player for us in the back end of the season." Lennon spent the majority of last year in the VFL before earning a call-up in round 16, holding his spot for the rest of the home-and-away season. 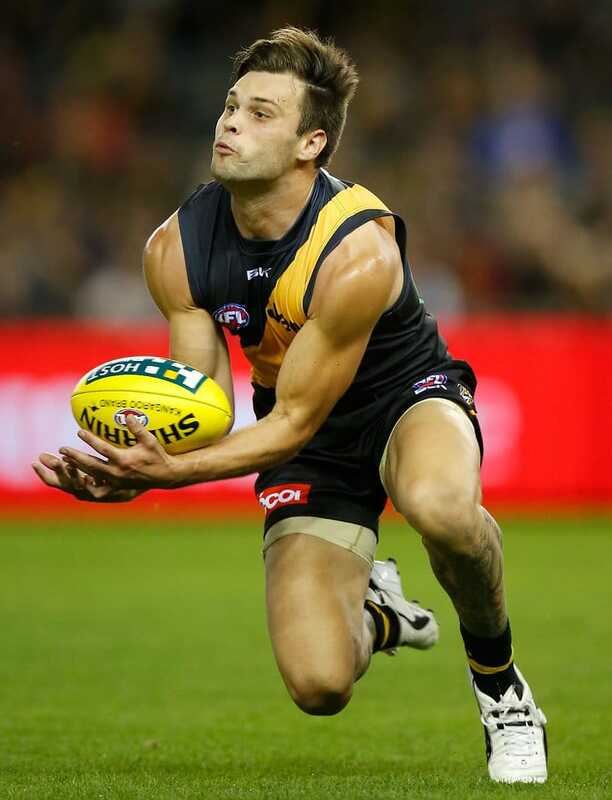 He was surprisingly dropped, however, for the Tigers' elimination final. The talented youngster, who was recruited with pick No.12 in the 2013 NAB AFL Draft, signed a two-year contract extension last October, taking him through to the end of 2017.